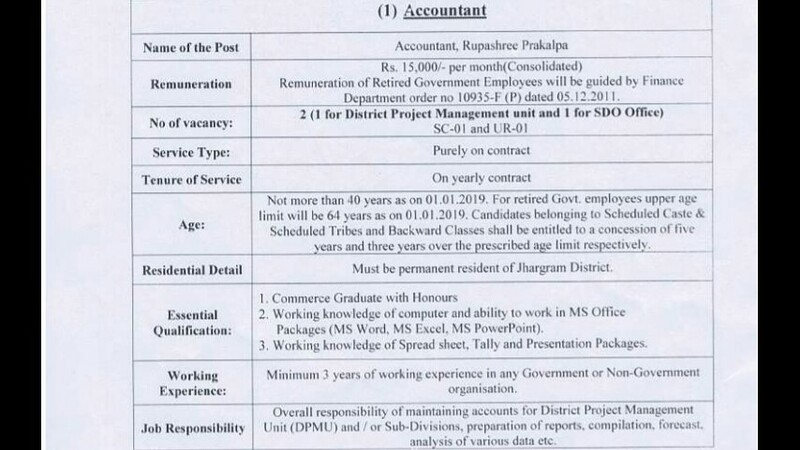 The Office Of District Magistrate & Collector, Jhargram, Is Appointing 11 Eligible Candidates To The Post Of Accountant And Data Entry Operators. So Interested People Can Apply For This Job Through Offline Application Mode, Within The Given Time Period. Data Entry Operators →09 Vacancies. Total Number Of Vacancies →11 Vacancies, Kindly Do Check Out The Image's Below For Vacancies Distribution, Educational Qualifications, Age Limit, Remuneration, Tenure Of Job & More. B. 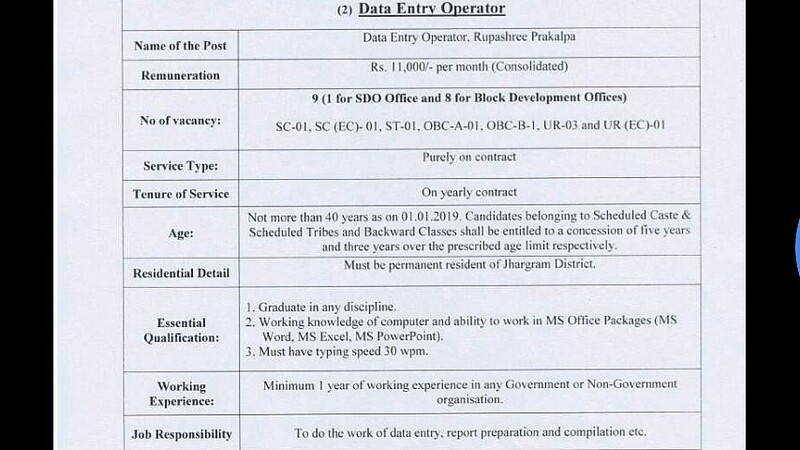 Eligible Criteria For Accountant And Data Entry Operators Jobs Vacancies In Jhargram District West Bengal 2019. Age Limit →Check out The Image's Above. Mode Of Examination/Selection Process →Written Exam/Computer Test/Personality Test. How To Apply →Candidates Must Submit Their Offline Application Form To This Address →Rupashree Cell, Office of the District Magistrate, Jhargram, on or before 02/04/2019, 5:30 PM. For More Info →The Official Website Of Jhargram Government ,West Bengal. Now Apply For This Job Of Jhargram. Thank You For Your Continues Support And Love, And Visit Here Regularly For More Info On Jobs In Jhargram And Other Jobs, Till Then Stay Safe And Blessed.